A former X Factor contestant was attacked and bitten after a gig in Sussex in the early hours of Friday morning (March 17). Lucy Spraggan was with her wife and guitarist when she was assaulted by two women in the street just before 3am outside a bar in Middle Street, Brighton. The singer-songwriter, who is from Sheffield, appeared on the X Factor in 2012. She shared pictures of the aftermath of the attack on Instagram. Lucy posted an initial picture holding a clump of her hair. Her face was also left covered in bruises and cuts. Posting on Instagram on Friday, she said: “Was attacked tonight after the show in Brighton, along with my guitarist and wife. 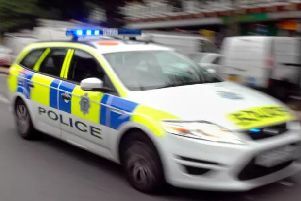 A statement from Sussex Police said: “Shortly before 3am on Friday police were called to Middle Street, Brighton, following reports that a 25-year-old woman had been attacked in a karaoke bar. Sheffield singer and former X-Factor contestant attacked after Brighton gig.